Anyone Can Become Addicted to Drugs – The National Institute on Drug Abuse provides this brief overview of addiction as an equal opportunity disease. At an innovative high school, students get support battling their addictions while they learn – PBS NewsHour visits a recovery school that is giving new hope to students battling addiction. The film, Chasing the Dragon: A Life of An Opiate Addict, provides graphic first-person accounts told by individuals who have abused opioids or whose children have abused opioids with tragic consequences. The introductory video providing the background and intent of the film may be viewed above or view full length here. The Words We Use Matter. Reducing Stigma through Language. The National Alliance of Advocates for Buprenorphine Treatment (naabt.org) has developed a useful guide about the language we use and why it matters. 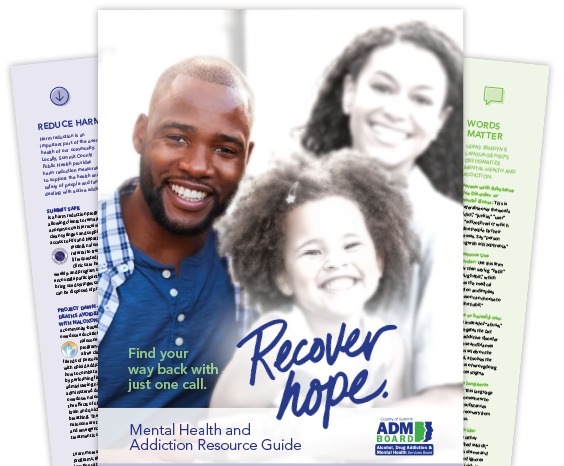 The "A" Word provides Dos and Don'ts for replacing the word "addict" and other language that negatively impact the cultural perception of addiction. The Ohio Substance Abuse Monitoring (OSAM) Network monitors substance use trends in Ohio and produces several publications. The National Institute on Drug Abuse has some excellent resources, including the Principles of Drug Addiction Treatment: A Research-Based Guide. Start Talking! Ohio has many resources for parents in order to have the important conversations to prevent drug and/or drug use. The site also has materials for businesses and employees in order to fight substance abuse in the Business Impact Zone BIZ section. Recovery is Beautiful: The Ohio Association of County Behavioral Health Authorities developed this website to celebrate those in recovery and outline the framework for moving Ohio’s Behavioral Health system to a Recovery-Oriented System of Care. Ohio Citizen Advocates for Addiction Recovery (OCAAR): Ohio Citizen Advocates for Addiction Recovery is a 501(c)(3) nonprofit organization dedicated to creating social change in Ohio. The "Cities Without Drugs Green" program in the City of Green is actively working to fight against addiction in that community.